Hashimoto's disease is a condition in which your immune system attacks your thyroid, a small gland at the base of your neck below your Adam's apple. ... Inflammation from Hashimoto's disease, also known as chronic lymphocytic thyroiditis, often leads to an underactive thyroid gland. 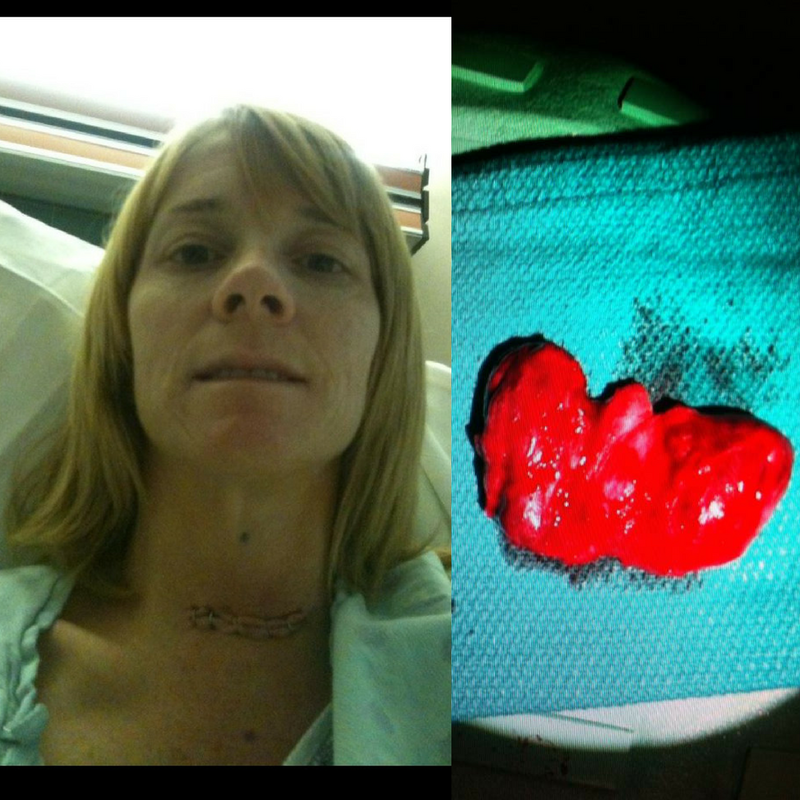 Although a little on the gross side,the first picture is my diseased thyroid gland that was removed on February 6, 2012. The next picture is me in the hospital the day after my thyroidectomy. Yes, that's me flexing my strength not muscles, when you are sick for 10+ years the smallest victories feels like you slayed a dragon. I'm always looking for people who want to make a lifestyle change and take back the life they once had before thyroid disease took control. If you would like to learn more how you can get Thyroid Fit click on the button below.